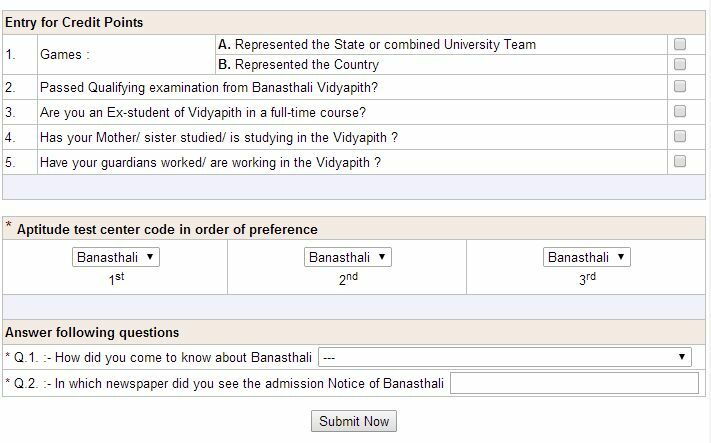 Hi I want the online application form of school education of Banasthali Vidyapith so can you provide me? Banasthali Vidyapith is located in the Banasthali Vidyapith town of Tonk district of Indian Rajasthan state. It is the largest residential university for women's education in the world. It is a Deemed University offering programs at school, undergraduate, postgraduate and doctorate level to women. Here I am providing you the process of online application form. 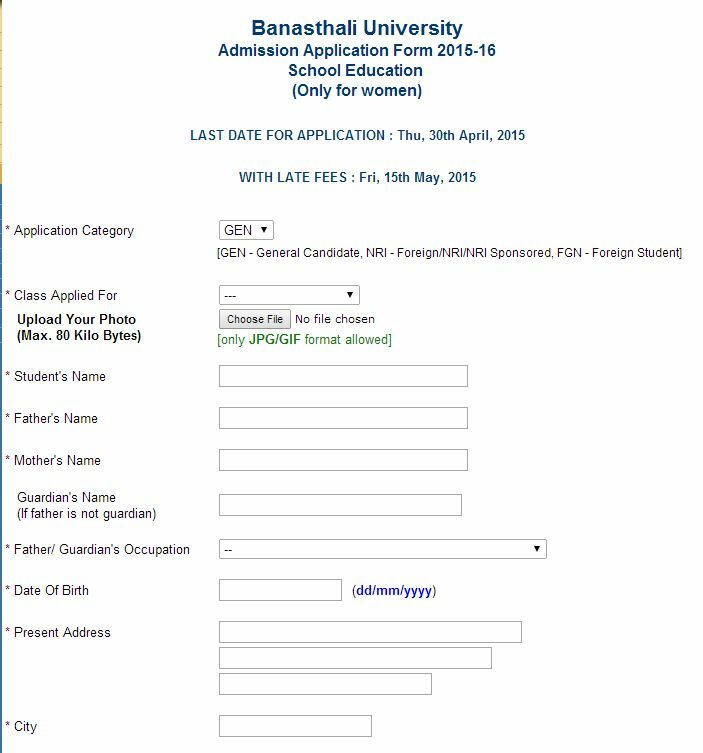 Then click on the tab â€œAdmission 2015-2016â€� in the left bottom side of the page. 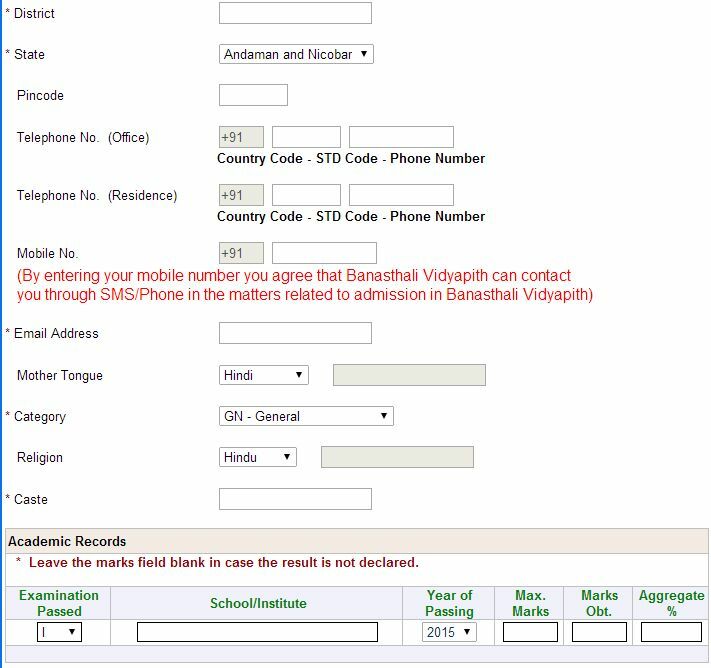 Then click on â€œonline admission formâ€� in the right side of the page. On this page enter all the necessary details in the application form and then click on the button submit now.